Practically everyone I know involved in the tech industry has a preferred domain name registrar / DNS provider. I’ve used quite a few different companies myself over the years, and have come to really, really like DNSimple. 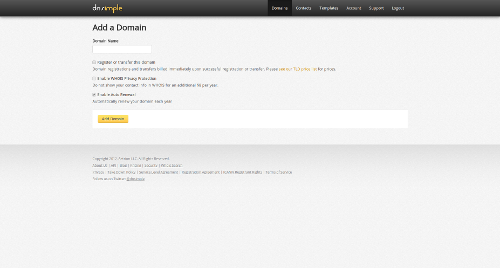 DNSimple is, in my experience, the simplest, most elegant, and best all around domain name registrar and DNS provider. Since I often get the What registrar do you use? question when talking with friends online, I figured I’d chronicle my experiences with DNSimple here. If you’re already a DNSimple customer, you may enjoy this article regardless. If you’re not yet a DNSimple customer, but are already sold, you can sign up here and both you and I will get a free month of service. DNSimple has an awesome interface. The company is built around the idea that DNS should be simple, and their interface reflects this. 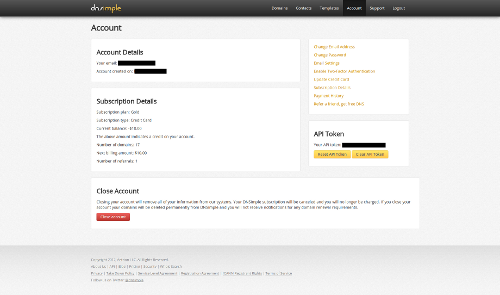 Below are some screenshots of my personal DNSimple account. I love their interface. Their UI is simple and elegant. You can easily register and transfer domains. You can easily update DNS records manually using their advanced editor (which is, by far, the simplest DNS editor I’ve ever used), and you can even use their pre-built DNS templates to instantly add DNS records to your domain (for stuff like Google Apps, Heroku, Cloudflare, etc.). If you find yourself frequently applying similar DNS rules, you can even create your own custom DNS templates, which allows you to perform one-click DNS record additions to as many domains as you’d like. Lastly, DNSimple doesn’t try to up-sell you additional services. Purchasing a domain name takes two clicks, and there are no spammy ads or any other junk preventing you from doing what you want to do: purchase your damn domain name! What has quickly become one of my favorite lesser known DNSimple features is their URL forwarding service. This allows you to create a DNS ‘URL’ record which redirects users to your desired location. This works great for instances where your site runs under the www sub-domain, and you’d like to force all users who visit your naked domain (e.g. 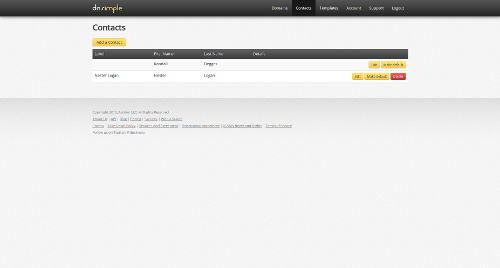 mysite.com) to be redirected to your www sub-domain (e.g. www.mysite.com). If you’re wondering why I use www instead of naked domains, see this article (it’s worth your time). 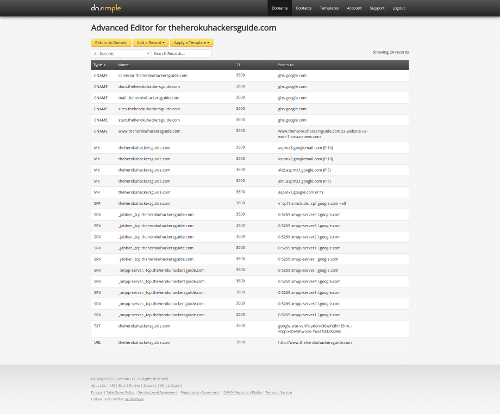 Below is a screen shot from one of my domains–you can see my URL record and how it forwards. Another great thing about DNSimple is their excellent SSL handling. For some reason, every registrar I’ve ever used has made purchasing SSL certificates a confusing, frustrating, and slow experience. DNSimple is the only company I’ve worked with that actually makes purchasing and using SSL certificates simple and straightforward. 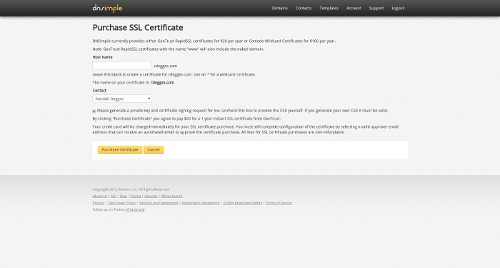 Below is what their SSL certificate purchasing page looks like. See how simple that is? Once you’ve purchased a certificate, DNSimple adds a nice SSL certificate section to your domain page, which allows you to easily download or copy and paste your SSL details for usage with your provider. If you’re using Heroku, there’s a guide you can follow to get up and running with SSL and DNSimple. Another thing that really bugs me about most registrars is that they have no easily accessible API. Since domain names are primarily managed by programmers, this has always felt completely unacceptable to me. 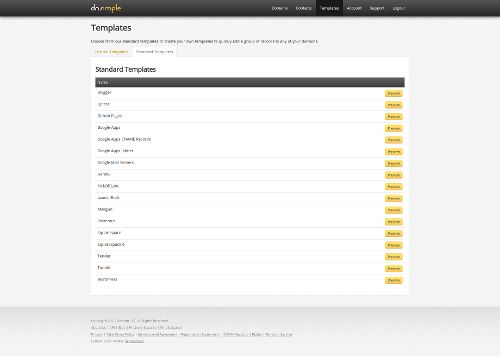 Luckily, DNSimple has a really great REST API, along with excellent API documentation and a bunch of client libraries. There are even some great tools you can use, built on top of the DNSimple API–worth checking out if you’d like to see some real-world DNSimple API examples. DNSimple is very reasonably priced. 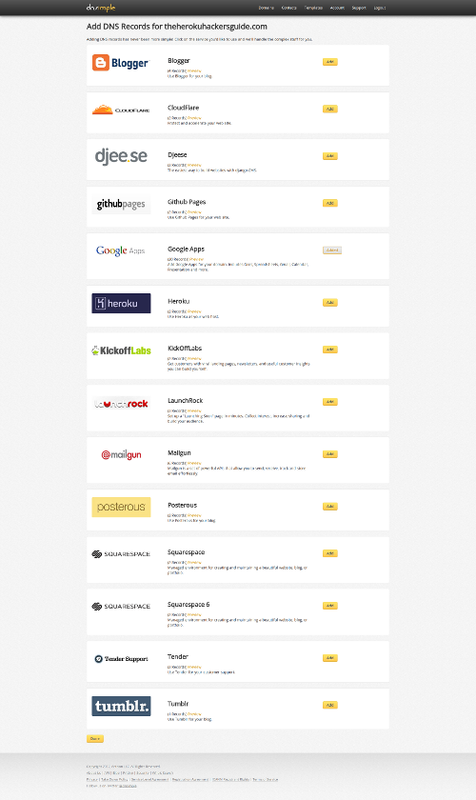 They charge a small per-month membership fee depending on how many domains you have (see their plan page for details), and they support a long list of TLDs (see their TLD pricing page here). Among registrars I’ve used, DNSimple has, by far, the best support. I’ve sent them several support emails with questions over the past year or so, and each time I’ve received an email answer immediately (from a developer). Each time I’ve talked with someone at the company, I’ve been extremely impressed by the speed (and accuracy) of service. DNSimple is, without question, my favorite domain name registrar and DNS provider. They’ve been able to live up to their name and really make DNS–simple. If you’re shopping around for a new registrar, I’d highly recommend you give DNSimple a shot, I guarantee you’ll like them. Anyhow, if you’d like to give DNSimple a shot, create an account now: https://dnsimple.com/.